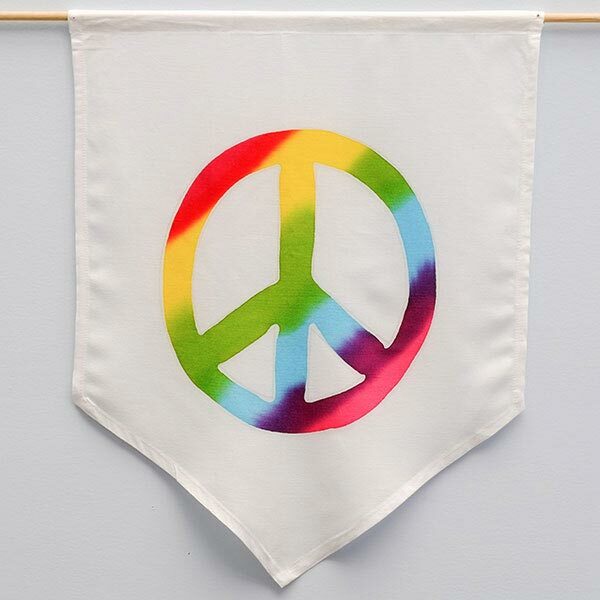 The classic peace symbol in rainbow colors. Fits most garden flag stands, or a 1/4 inch wooden dowel with cord could be used. These are shaped with a point on the bottom 1-1/2 feet tall by 16 inches wide.